This month’s Kulinarya Cooking Club theme is one of my favorite food history topics: Filipino-Spanish cuisine. Seems like I have a theme going lately: Filipino-dishes-I-didn’t-grow-up-eating. (See my previous post on humba). I decided to go all out on this one and cook something that has always been intimidating: chicken relleno. 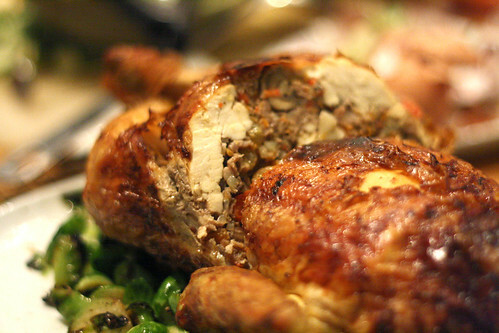 Relleno is a (mostly) deboned chicken, filled with a ground meat mixture and roasted. Because of the name, I had assumed it was of Spanish origin. However, its roots are French. The difference between a relleno and a galantina is that a galantina (indeed a Filipino adaptation of a classic French galantine) is a fully deboned chicken, simmered in stock and served cold, whereas a relleno is roasted and served warm. It typically still has the legs and wings attached so it looks a bit more bird-like rather than just a large cylinder. Although French in origin, the galantina/relleno started appearing on festive (wealthy) tables in the Philippines during Spanish colonial rule. For many families, it is a traditional Noche Buena (Christmas Eve) dish. The most difficult part of this recipe is obviously deboning the chicken. Each time I do this it gets slightly easier for me. This time I escaped with only two cuts on my hands and most of the meat managed to stay on the carcass rather than bones (which is a good thing). Leaving the wings on and the leg bones below the thighs makes it easier, and gives the chicken form. Once you get past this step, the rest is a pinch. Most recent recipes for relleno call for all sorts of canned eats: Vienna sausage, pimentos, hot dogs; basically, all the trappings of post-war Philippine affluence. I elected to base the filling off Amy Besa and Romy Dorotan’s recipe in Memories of Philippine Kitchens, which eschews all the canned stuff. Although they call for chorizo (as many relleno recipes do) I opted instead for some bacon (why not?). Typically, hard boiled eggs are set in the center of the filling, but I left this out only for logistical reasons: I couldn’t position them correctly so I left them out. (If I were to make this for a special occasion though, I would definitely put them in.). Raisins are typically added in the relleno filling, but if that sort of sweetness freaks you out, I would consider it optional. Personally, I like it, but used golden raisins just because they look nicer. The filling was right on: it was the perfect balance of sweet and salty and tasted great with the roasted chicken skin. I didn’t feel like it needed any gravy, but a giblet gravy would probably be crazy good with this. And don’t worry; after a few tries, you’ll have the bones out of that chicken in no time. Debone the chicken. The best way to start is to have the chicken breast-side up and start by separating the breast meat from the bone. Basically through the neck cavity, you will just continue working your way down and around the carcass, separating the leg joints from the main bone structure so you can eventually just pull the back and breast bones out through the neck cavity. After removing the main bone structure, separate the lower leg (drumstick) from the thigh bone and remove the thigh bone. The only bones remaining should be the wings and the drumsticks. Over medium-high heat, saute the bacon. When it is brown and crisp, remove it with a slotted spoon. Add the mushrooms to the bacon grease and saute until browned and the liquid has evaporated. Set aside with the bacon. Add a bit of oil to the same pan and add the carrots and red pepper. Saute until soft. Add the garlic, taking care not to burn. Set aside with the bacon-mushroom mixture. Set aside and allow it to cool. Once the sauteed mixture has cooled, set it in a large bowl. Add the onions, pork, beef, olives, raisins, salt, pepper, cornstarch and egg. Mix well with your hands. 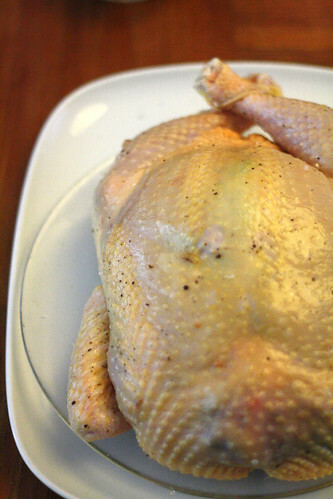 Rub the chicken all over – inside and out – with salt and pepper. Brush the outside with melted butter. Sew the chicken’s tail cavity with kitchen string. Carefully stuff the filling mixture into the chicken cavity, being careful not to overstuff. Sew the neck cavity shut. Set the chicken on a rack over a roasting pan. Roast for about 1-1/2 hours, turning and basting the chicken every 30 minutes or so, allowing it to brown evenly. Remove it from the oven once the thigh meat registers at 170 F (76 C) and the stuffing registers 165 F (74 C). Allow to rest for 10 minutes before slicing and serving. OMG!! that is one gorgeous chicken!! beautiful work on the challenge.. I am late in posting mine but it’s nothing compared to this!! Awesome! amazing chicken relleno! I haven’t had that in years! like like like super like! i like the salty-sweet flavors from the bacon and raisins. hungry now! Excellent job! Chicken Relleno is my favorite Christmas Eve dish! Your version looks perfect! I have been wanting to try this but I’m scared :D. You make it look so easy. I was just perusing through my Kulinarya cookbook several hours ago & telling my husband I’m gonna make this for our Noche Buena this year (though hesitant about following the Kulinarya recipe due to use of Vienna sausages :/ ) and here I see you’ve made it, & it appears several times already. Plus you’ve added bacon!!! You’re a rock star! Thanks for sharing your recipe, Sheryl. Now I’m really excited to make this, I don’t think I can wait for Christmas. Thanks! Make it earlier — hey, it doesn’t hurt to practice. Lovely post, Sheryl. Another classic Filipino-Spanish dish. I remember my mom making this back home. But she made a lot more fish relleno (rellenong bangus, in particular) than chicken simply because fish was much cheaper! Relleno’s not just for chiles anymore. The filling sounds awesome. We need to choose another cuisine to try, and it’s time to do filipino food. Bookmarking this one. wow! I want some of that chicken relleno! 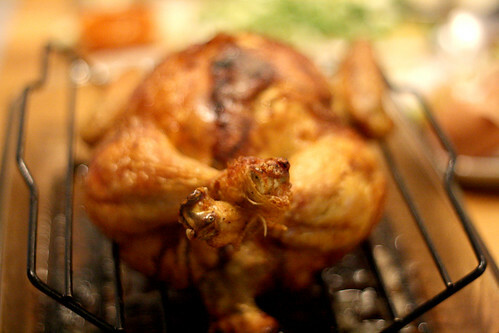 You’re so good, I don’t think I will be able to debone a chicken by myself…great job! Thanks for sharing! Great job! I’m now considering making this for some sort of holiday meal. Have you heard Rex Navarrete’s new album “Live at Cobb’s? (It’s on iTunes). He does a whole chunk of his show on Filipino food including a hilarious bit on hot dogs and Chicken Relleno. Rex Navarrete is sooo funny. I didn’t even know he had a new album — thanks for the tip, I’m all over it. WOW, this looks amazing. I’ve always wanted to try to make relleno. I think I’ll give it a try now. 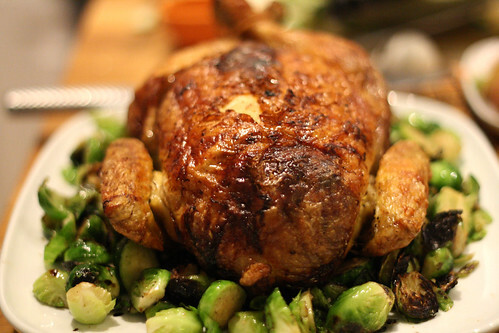 i could debone chicken less than 10 minutes…..but now i found the recipe that looks great, will be cooking this soon.i was just guessing before what get stuffed.